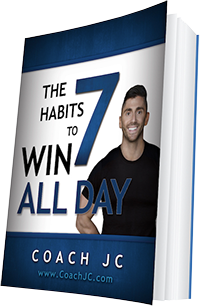 Today’s WINNING recipe to meet Coach JC’s 10 WINNING Habits is Fresh Corn, Tomato, Avocado and Basil Salad. Where are my healthy fats? Where are my veggies? Did I earn my carbs? Shuck the corn and remove it from cob. Use raw or grill over fire 10 – 15 minutes, turning it infrequently to give it a bit of char so it has some texture, as well as additional flavor. 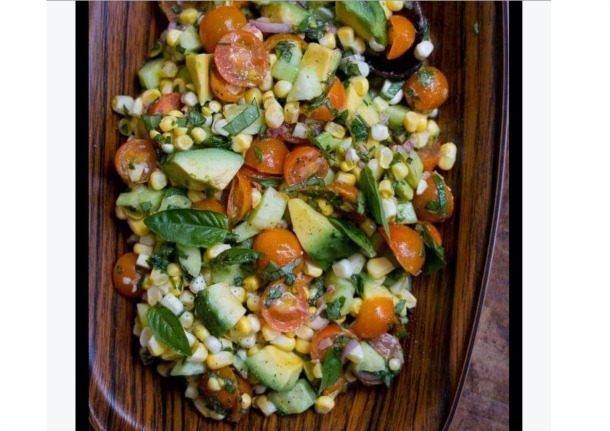 Put the corn kernels, tomatoes, avocado, cucumber, and basil in a bowl and season with black pepper. In a small bowl, whisk together the vinegar, mustard, shallots, salt, and olive oil. Pour the vinaigrette dressing over the salad and gently mix together.